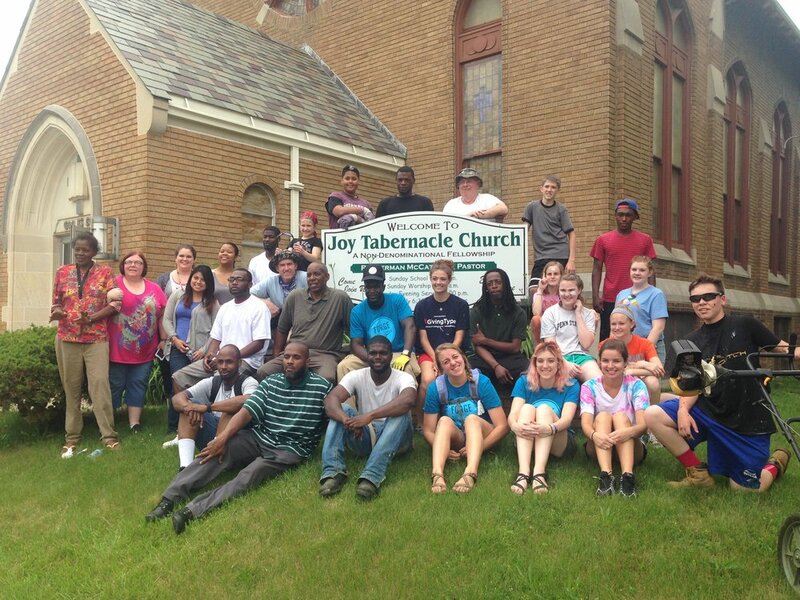 Our Summer service experiences join the ongoing work of the Urban Renaissance Center in the Civic Park Neighborhood. Together we work towards neighborhood development, stability and renewal through a variety of meaningful projects, including blight removal, painting, landscaping, and basic home repairs. Volunteers work together to restore life, pride and hope in the community. We believe that through these acts of love and service we are celebrate the Kingdom of God together. Forge hosts week-long camps for junior high and high school students in the summer months and college groups during spring breaks. Each week, students participate in service projects, discussion groups, chapel services, excursions, games and fellowship. Students and youth leaders work in groups of 8-10, led by a Forge summer staffer and construction manager. A week at Forge is a great opportunity to form new friendships, be challenged spiritually and explore together what it means to follow Jesus and join God's mission.